Miami Art Week is nothing if not overwhelming: a comprehensive survey of the contemporary art market on an international scale, there is something to distract and enthrall even the most casual visitor. 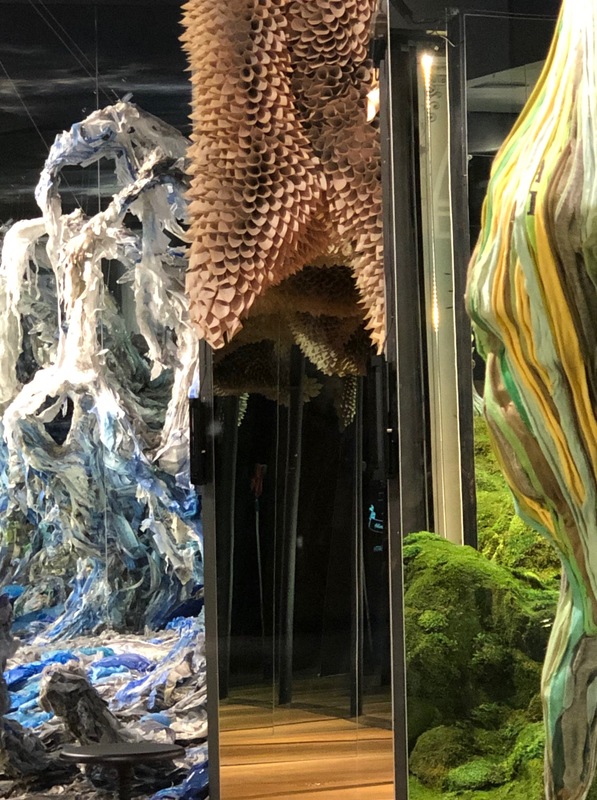 For fans of fashion, fine art and sustainability, however, one exhibit is paramount: RE-THINK, the Arcadia Earth-curated project taking place at Istituto Marangon Miami (IMM). Featuring thrilling installations and immersive art experiences, RE-THINK is a fearless, vibrantly contemporary showcase of artists whose works demonstrate aspects of re-using, re-purposing and upcycling materials. After a VIP opening December 3rd, the exhibit kicks off Dec 4th and will remain on view through December 16th at 3700 – 3740 NE 2nd Avenue in Miami, Florida. An exhaustive survey of artists including Tamara Kostianovsky, Cindy Roe, Samuelle Green, Etty Yaniv, and more work across recycling and conservation in partnership with Arcadia Earth, Oceanic Global and IMM. These organizations have joined powers in support of these artists to produce sweeping vistas of recycled paper in cave-like rooms and vibrant banquet tableaus crafted with upcycled objects. 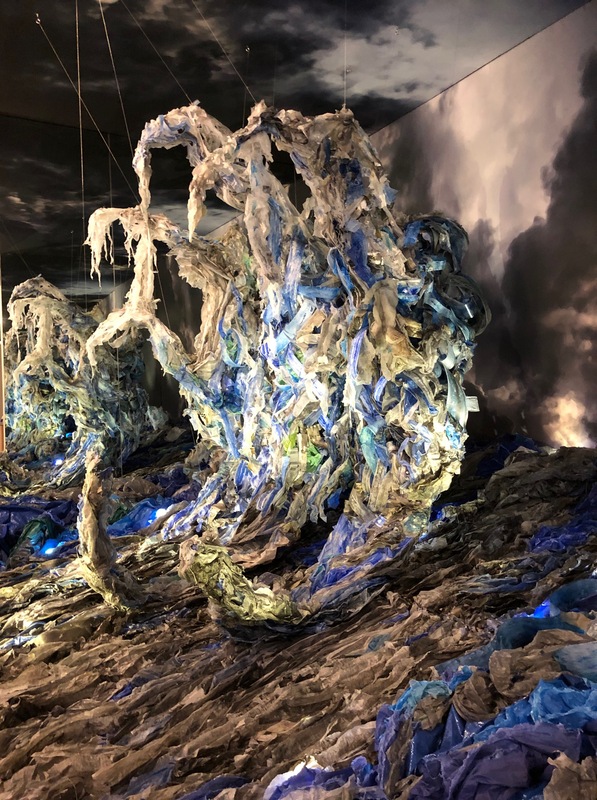 Etty Yaniv‘s installation, “SIRENS”, recreates an ocean wave out of plastics and fragments of artworks that deeply impact visitors to RE-THINK as to the overwhelming sense of the scale pollution plays in our planet’s oceans. Directly in conversation with nature while simultaneously referencing the power and impact of Hokusai’s graphic woodblock print, The Great Wave off Kanagawa, Yaniv produces a powerful composition simultaneously evoking the power of nature and the increasing amount of plastics and other trash and debris comprising the oceans. Created mainly of plastic remnants, for SIRENS at Arcadia Project in Miami Yaniv accentuates the push-and-pull drama extant between nature and man-made artifice, a complex co-existence which has resulted in unprecedented pollution of our oceans and rising sea levels. Balancing the organic and the artificial, Yaniv’s “SIRENS” provides a subtle yet impactful elegy to the power of the Earth’s oceans and our role in creating a new a natural environment, whether for better or for worse. 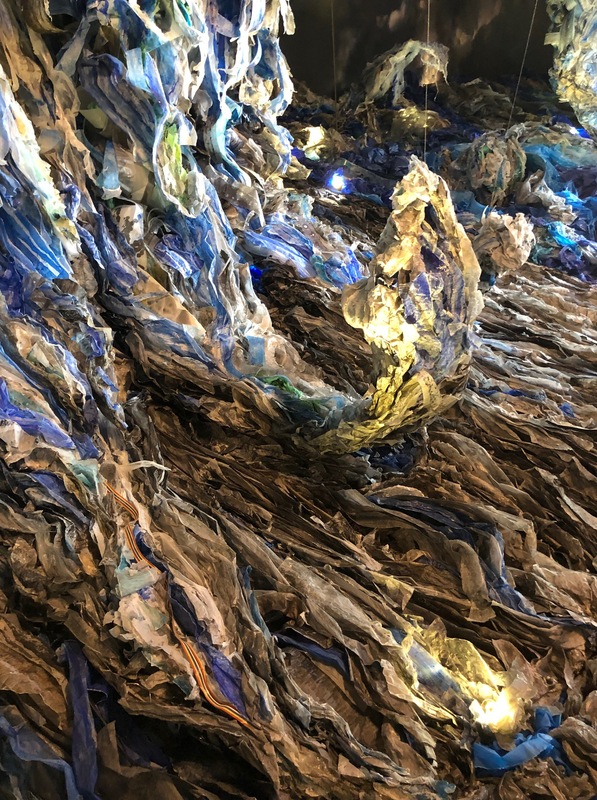 In addition to “SIRENS”, nearby “Manifestation of the Paper Cave 2” by Samuelle Green and “Alchemy” Tamara Kostianovsky align with the exhibition themes of sustainability and environmental protection. 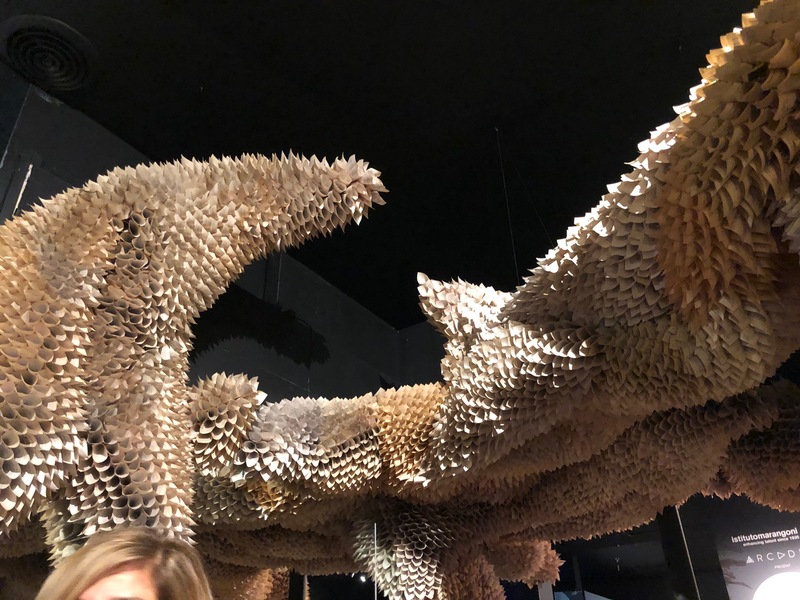 Tamara Kostianovsky’s site-specific work draws attention to the need to up-cycle everyday objects, and eyeing new means of regeneration and sustainability while Samuelle Green’s “cave” creates a visual dialogue with art forms present in the natural world. Overall, these environmentally friendly installations work as a cohesive whole, and are supplemented by mindful panels related to sustainability efforts which take place in the center of these massive art environments. Visit RE-THINK soon – before December 16, 2018 at 3700 – 3740 NE 2nd Avenue in Miami – to experience this limited time immersive exhibit thoughtfully highlighting environmental issues and the simple daily solutions available to create a more sustainable planet through augmented reality, experiential installations and curated educational talks and panels.